Questions about the Campaign arise from time to time. Here you will find answers to those asked to date. More will be added as the roll-out gets under way across the diocese. 1. Why is this Campaign necessary? The Diocese has a duty of care towards its priests and has always provided for sick and retired clergy. Archbishop Peter Smith has identified future provision for sick and retired clergy as a priority because costs over the next four years are set to increase to a level beyond which the diocese will have great difficulty in sustaining. The parish levy, which is based on the amount of each parish’s offertory collection, helps pay for quarterly grants to retired priests and contributes towards the costs of their nursing care. It also helps pay for healthcare for all clergy. However, in common with other dioceses and reflecting the pattern of past ordinations, the diocese anticipates a significant rise in the number of clergy due to retire, which is expected to reach a peak by around 2018. In common with the general population, priests can look forward to a longer life in retirement than in the past. Meanwhile, the costs of nursing care, property rental and maintenance and healthcare are all set to rise. 2. Is this the only reason for the Campaign? In the past, retired priests were often cared for by religious orders in return for chaplaincy services. The number of such orders in this part of the world has now declined to the extent that this form of arrangement is now rarely available. In order to ensure their sustained future, some religious orders have set up commercial care homes and the diocese must pay the appropriate rates for priests. The Diocesan Board of Trustees considered whether to increase the parish levy as a way of meeting the shortfall. However, they know that this could cause hardship for some parishes which already struggle to meet all their costs. Whereas if every parishioner can hear about the needs of our sick and retired priests and how they can support them this provides an opportunity for all of us to understand and respond thoughtfully and prayerfully by making a gift in accordance with our means. In this way, each of us can express our care and thanks for those who have dedicated their lives in service to others or who are sick (whether or not they have retired). 3. Is Southwark the only diocese organising such a campaign? Some other dioceses are running fundraising campaigns and appeals. Reflecting the mission and needs of each diocese, some are for sick and retired priests and others are for different purposes. 4. What does a working priest receive by way of income? A priest in active ministry receives £1,200 per annum from their parish as a support stipend and they are guaranteed £5,000 for combined Christmas and Easter Offerings via a diocesan scheme. Otherwise they receive the very varied personal income from Mass offerings and stole fees for baptisms, marriages and funerals. 5. What does a retired priest live on? A retired priest generally receives a state pension and by custom receives a fee from parishes where he supplies when the resident parish priest is on holiday or sick; although some priests are not well enough to travel the sometimes long distances needed to offer supply duties. The Diocese aims to ensure that a retired priest receives, from all sources combined, a total of £12,750 per annum to live on, including his state pension: this amount may be reviewed from time to time. Out of this he must pay for every day living expenses such as council tax, energy, food, car maintenance, travel and recreation. Not all priests receive financial support because not all need it. For example, if a priest has worked in paid employment, perhaps as an Armed Forces or prison chaplain, he will most likely have an occupational pension which provides for his needs. 6. Why has no provision been made in the past for clergy pensions? The income of priests has never been sufficient to allow for a level of contributions which could build up even a basic pension fund or mortgage to provide for him at retirement. Also, the Diocese has never been in a position to fund such a pension scheme and until now has not needed to. Even if a pension scheme were to be established now it would be many years until it could yield sufficient funds to support priests who have retired from active ministry. It would therefore not be available to support those priests who will retire in the next few years and that is the issue that needs to be addressed through this campaign. 7. Why does the diocese provide healthcare for its priests? The purpose of the healthcare fund is to provide an alternative option when NHS treatment cannot be made available in a timely manner and when this will create difficulties for the priest and his parish or other ministry. Since many retired priests still contribute to the work of the Diocese by providing supply services or continuing to work on a diverse range of diocesan pastoral projects, it is in the interests of the Diocese to ensure that all clergy, as ‘key-workers’ of the Diocese, have access to healthcare when needed, in order to sustain its mission and ministry. Prior to introducing the diocesan health care fund each priest made his own arrangements and some chose to purchase healthcare insurance cover. This meant that provision was very inconsistent and more costly than a centrally provided and managed fund. Because the Diocese has a duty of care to its priests it has made the fund available to all of them and coordinates and pays for it centrally. As many parishes are now run by a single priest it can cause significant problems if, for example, an operation or procedure is scheduled around a very busy time such as Christmas or Easter. The scheme can therefore help minimise disruption to a parish by allowing some flexibility over when operations or treatments are arranged, enabling sick priests to return to parish activity more speedily. 8. Can you give more details about the healthcare scheme? An annual contribution, or premium, per priest is paid into a trust (the Healix Trust) by the Diocese. When required, funds are then paid out of the trust to facilitate the purchase of health care treatment when the NHS cannot offer treatment in a suitable time-frame. The fund is not operated by a commercial provider. Whilst the scheme is optional, over 90% of priests have joined and are covered by it. An excess is paid by a priest each time his treatment is paid for by the fund. The availability of the fund also helps ensure priests who suffer ill health are able to continue living independently for as long as possible, which helps reduce the costs to the Diocese of nursing care. The annual premium is roughly equivalent to the cost of two weeks in a care home. The scheme is similar to those provided in a business context where there are significant risks to business continuity, particularly when key programmes or operations are largely dependent on one person. 9. Could retired priests be housed in a home together or be accommodated in presbyteries as the shortage of priests means there are more spare rooms available? After many years of service to the church, priests, like all of us, have different aspirations about how they would like to live in retirement. Whilst most enjoy the company of their brother priests they generally prefer to live on their own in retirement, in a flat or a modest house. Although one or two retired priests have lived in larger presbyteries, they are intensely busy places and therefore not really conducive to retirement. On the rare occasion where presbyteries are no longer in use, the Diocese gives consideration to whether they might be occupied by one or more retired priests, depending on the circumstances and needs at the time and whether this will constitute the best use of the building. Some presbyteries are doing a great deal to help sick priests. Those which are no longer needed are few and far between. 10. In the light of recent economic difficulties is it fair that priests should be able to choose where they want to live and what kind of accommodation they would like to live in? After a lifetime of service the Diocese believes that its priests should feel able to express a preference for the kind of accommodation and area they would prefer to live in. Although it is not possible to accommodate preferences in every case, this discussion reflects an appropriate level of care and due respect. The choices that can be made available to a priest who is coming up to retirement are dependent on the resources available to the Diocese at the time he retires and in this way are affected by the prevailing conditions and circumstances. 11. Are there any similar campaigns in Southwark Diocese? There are no other fundraising campaigns which duplicate the objectives of the Clergy Support Fund Campaign. A charity called The Southwark Brethren (registered charity no. 281950) has existed in the dioceses of Southwark and Arundel and Brighton for many years. It provides small grants for sick and retired priests in Surrey and Kent who have urgent and immediate needs. It raises funds from parishes through an annual appeal and from investment income. In a typical year it makes grants totalling about £40,000. 12. Why do the future costs not increase in direct proportion to the number of retired priests? Whilst our projections indicate a steady increase in the number of retired priests, the costs do not increase in proportion. This is because a significant element of the costs is the healthcare provision which covers priests who are in active ministry as well as those who have retired. This is therefore a continual cost for all priests which must be met, since it is in the interest of the diocese to ensure every parish is served and the needs of its congregations met. 13. Is it possible for a parish to take on responsibility for providing financial support to a specific retired priest? 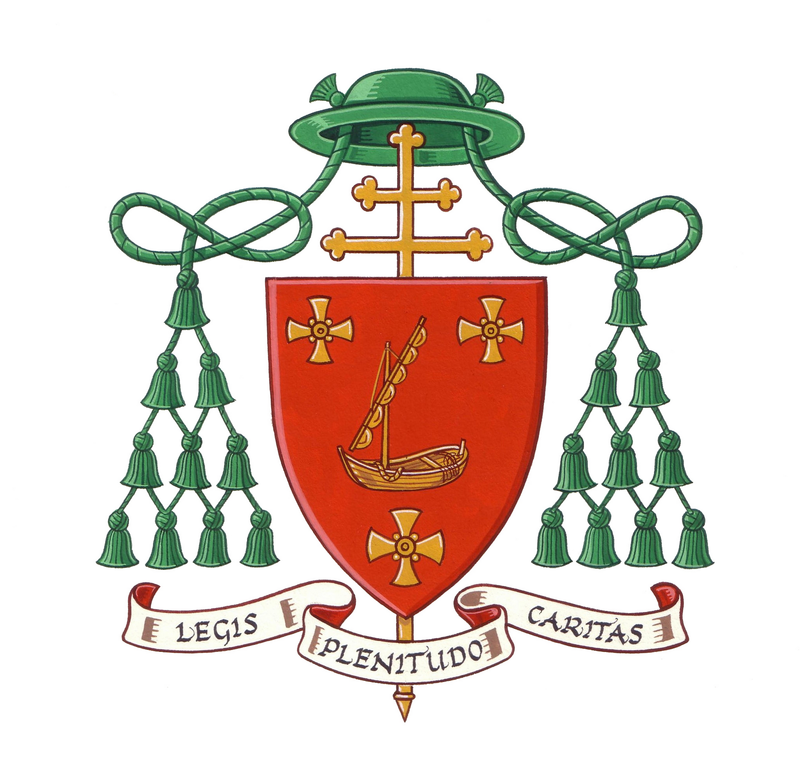 It is the responsibility of the Archbishop to care for priests who are no longer in active ministry, many of whom will have served the Diocese in a number of different postings before retirement. Not all parishes could undertake to support their priests in retirement and sustaining such a commitment over an unlimited time period could prove difficult. Also, such an on-going relationship between a priest and a specific parish could easily create a situation in which a priest feels beholden rather than independent of the parish. It is therefore best to have an equal and uniform system for the dignified support of our retired priests. 14. Are the Ordinariate obliged to take part in this Campaign? Where an Ordinariate priest is running a parish for Southwark Diocese, the parish would be expected to participate in the Campaign. This reflects the same guidance for religious orders. Can’t see the answer to your question? Please visit the Financial FAQs page or contact the Campaign Office.